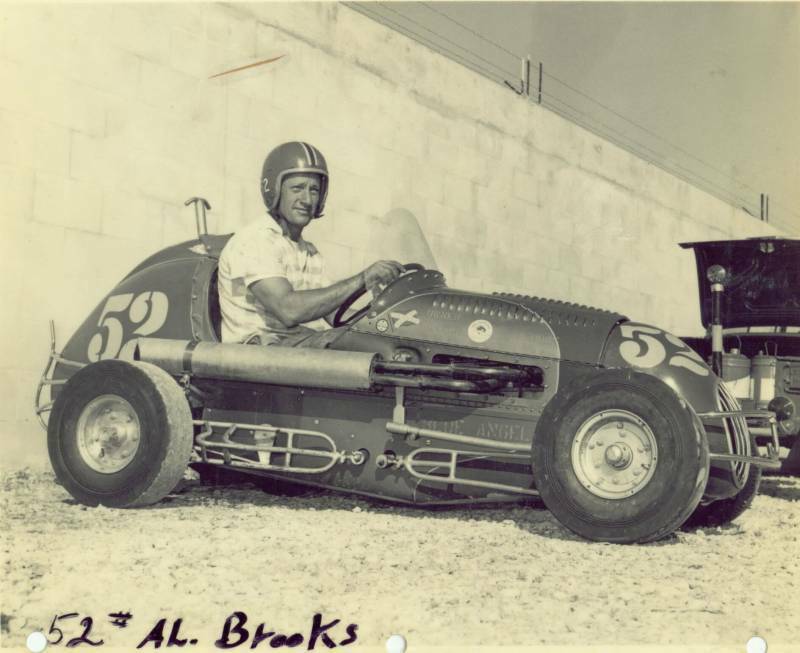 Meet Al Brooks and his "Blue Angel", #52. 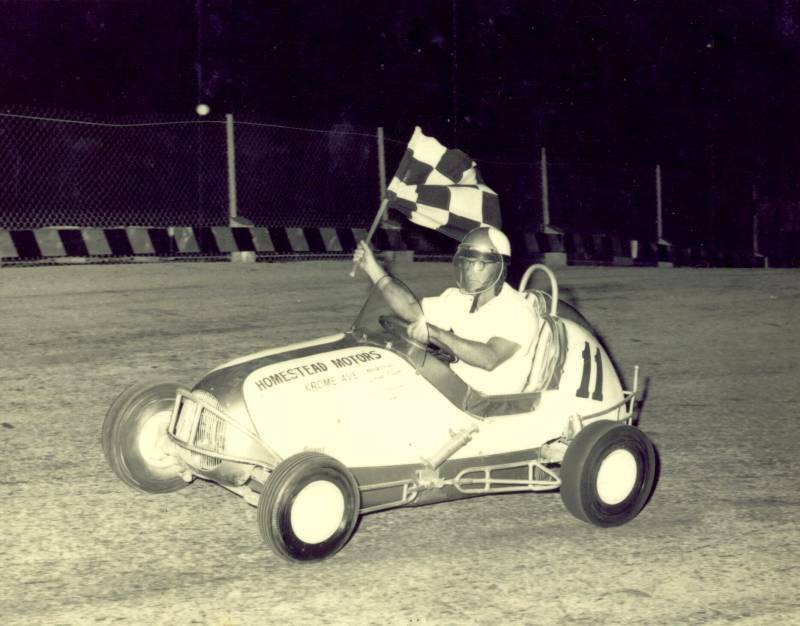 He competed in the early days of the track from its opening to late 1967. In addition to TQ driving, he also spent some time at the wheel of a mini-stock. Isn't this a great shot? It is big enough to show lots of detail like the hood louvres and the hand-made headers. 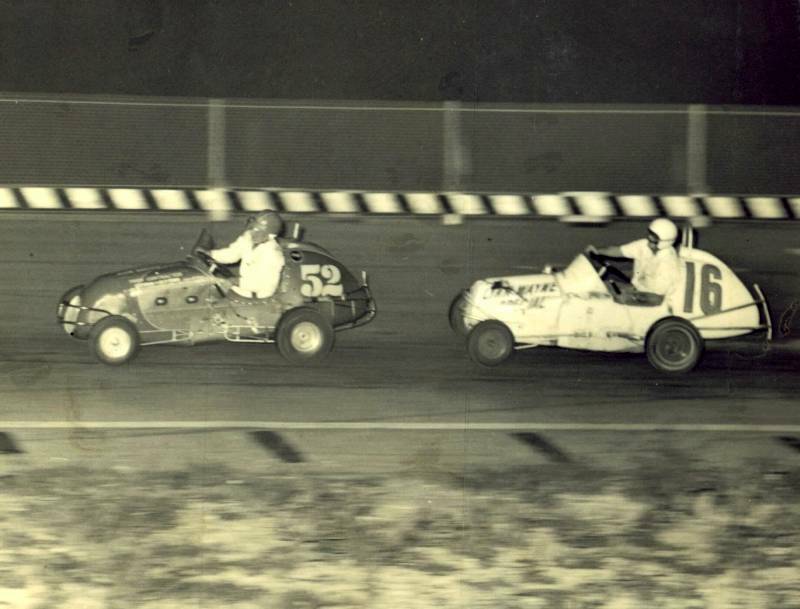 Here, Al powerslides the Blue Angel, while George DeWald in the 16 gets a bite and lifts the left front tire high off the track. Al's wife tells us that he was a fabricator who built his own cars, and assisted other guys with theirs. 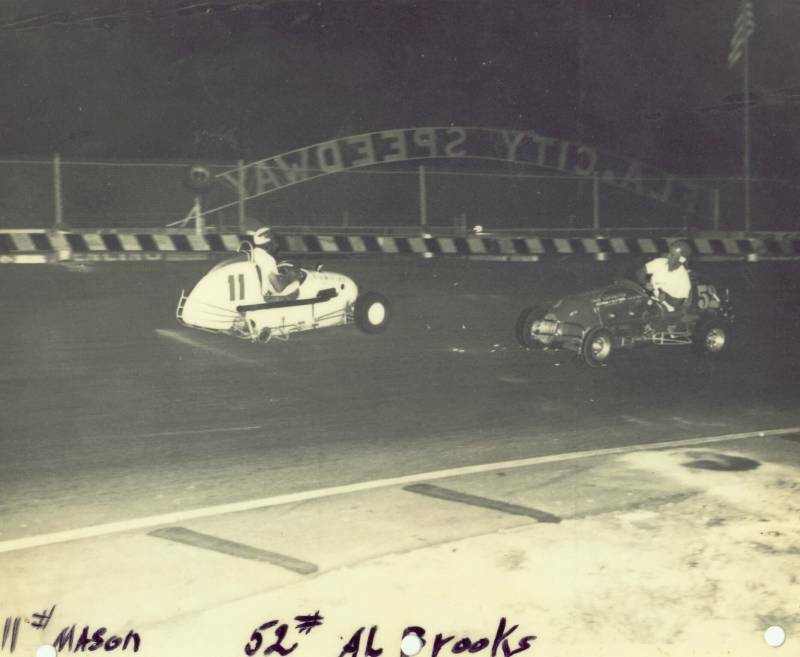 It looks like Al found a lane around this mess in turn one. Check out the body english as Al avoids Brady Mason's spinning car. You can see Brady's wheel flying by the "Y" in the speedway sign. Sweet victory! Al carries the flag driving Brady Mason's car. 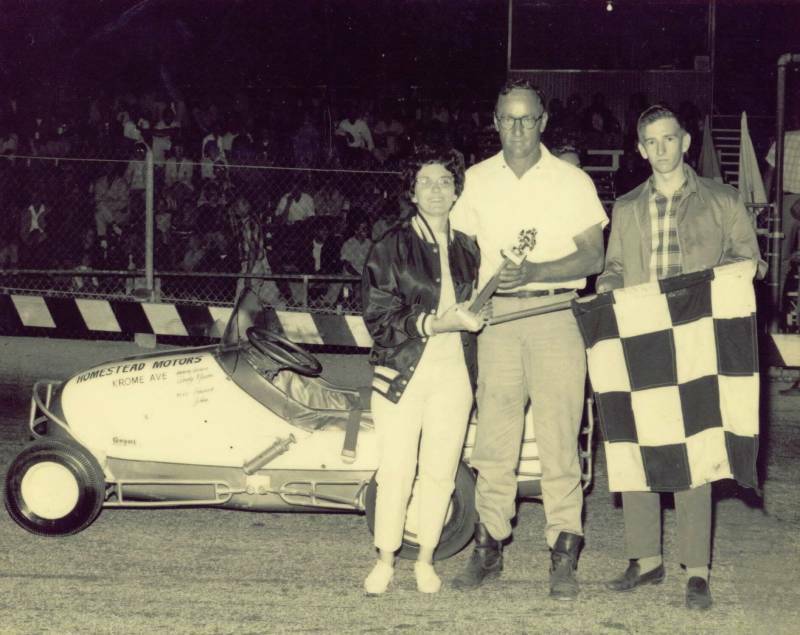 Brady and Al were friends and they worked together to get the track built, and on some of the cars. Victory lane in Brady's car. No wonder they are smiling! 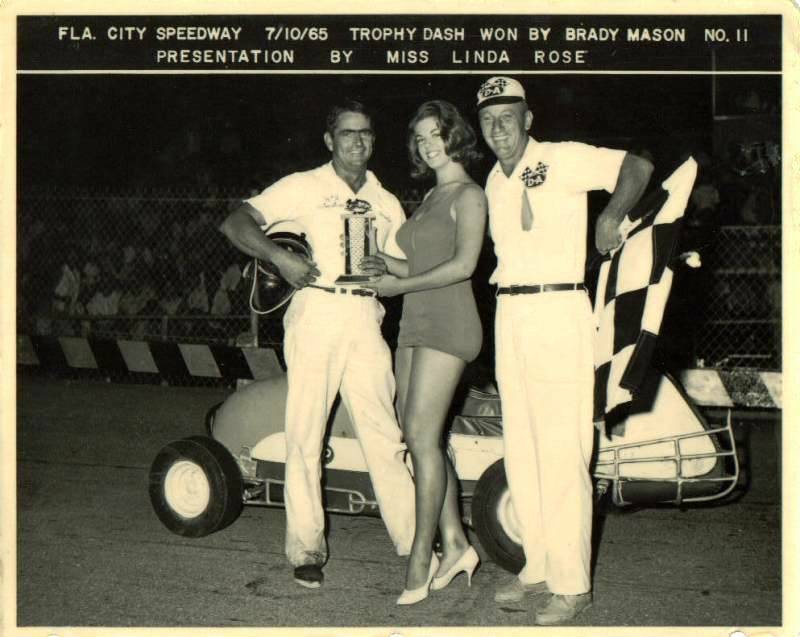 Check out that trophy babe! Al and Brady enjoy another night in victory circle. Al was in the Air Force, so when he got orders to go in 1967, the whole family shipped out. From sunny South Florida, he was sent to North Pole, Alaska! 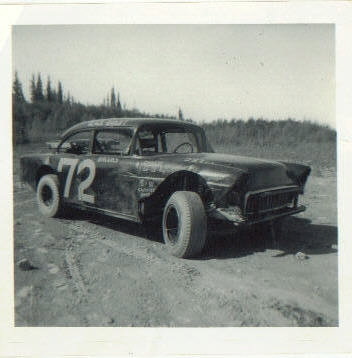 Here is a picture of his ride from the Alaska days. Can you imagine racing that far North? 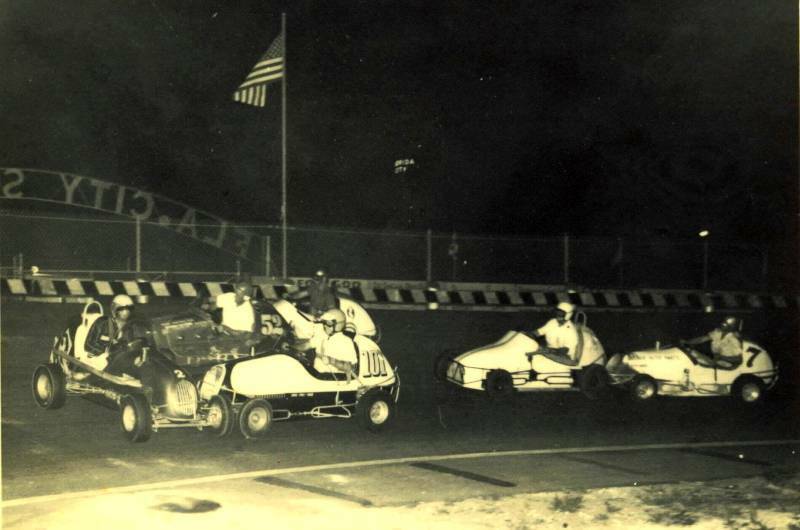 The season must have only been a few months long, and I bet there was no need for lights at the track. 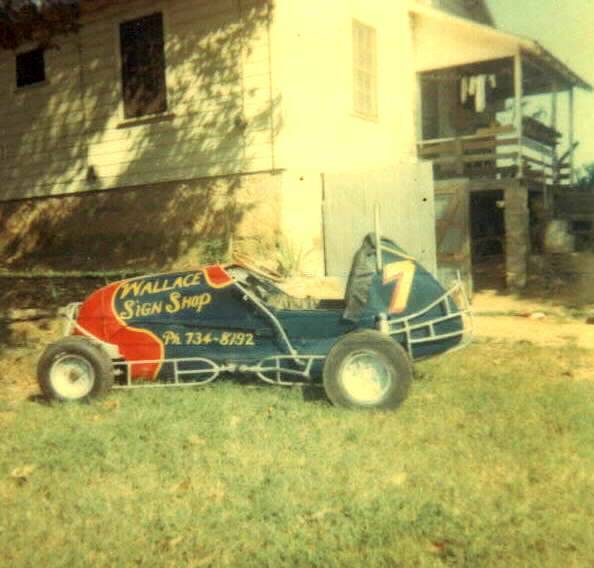 He never got to race this good-looking TQ. Work took him from Alaska to Alabame and Oklahoma. It was in Altus, OK where Al lost his life in a 1970 accident. Thanks to his son Al Jr. who provided these pictures, and the home movies of FCS that I have to figure out how to present!.